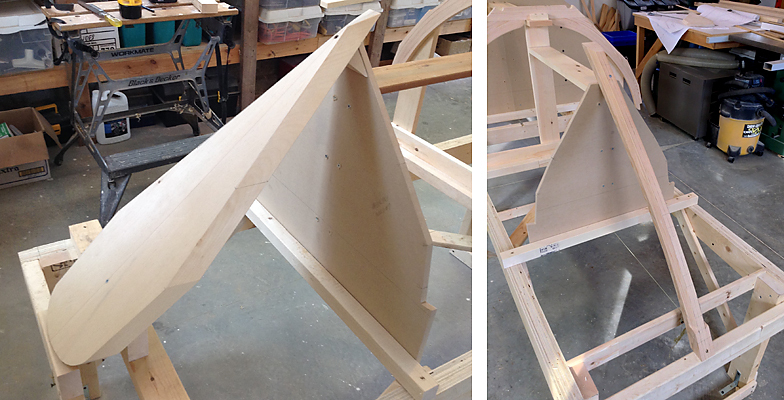 Two tools that don’t see a lot of use in boatbuilding are a carpenter’s level and square. 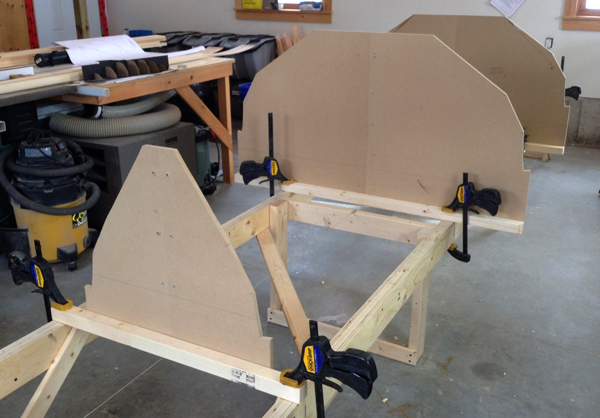 The one exception is when setting up the building frame and attaching the molds, frames, stem and transom. 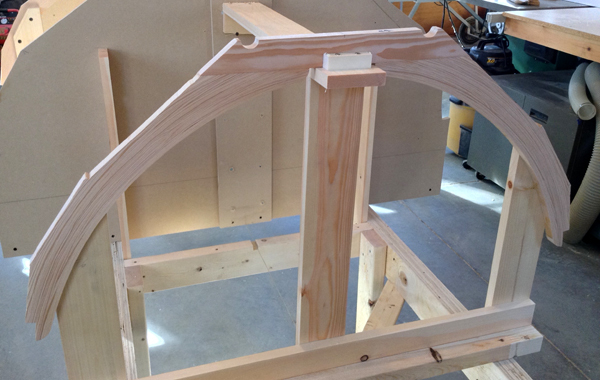 Ensuring the 16′ building frame rails are straight is a challenge using solid wood so we cut 5/8″ plywood into 3-3/4″ strips and laminated them together. The frame is 30″ wide and 21″ high, making it a comfortable to work on the boat but also gave us enough room to crawl under if necessary.